According to Pantone, the color is energizing, positive, luxurious, radiant, harmonious, striking, luminous, and sophisticated, among other things. Ya Ya it has been a while since it was announced and I’m here to tell you the ways you can incorporate this gorgeous color in your wardrobe as well as your life. Western not your cup of tea? Go traditional! This color has been quite active in Indian outfits since a long time. 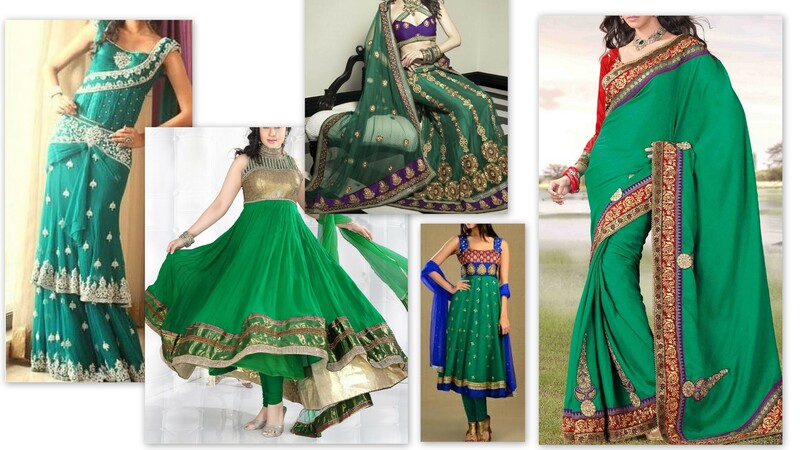 Be it an emerald green saree or a lehenga, it looks super pretty. Remember Madhuri Dixit in Hum Apke Hain Kaun- Joote do Paise lo song? Yeah this color has been a rage in our Bollywood. 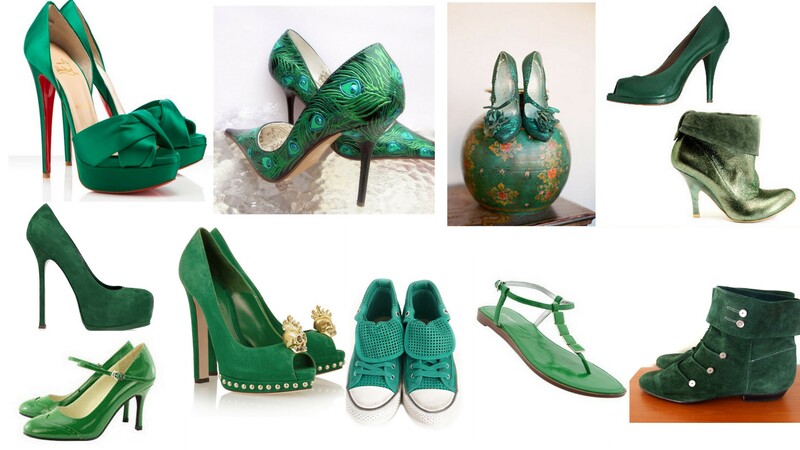 Bright, vibrant color like Emerald green can liven up any drab and boring outfit. 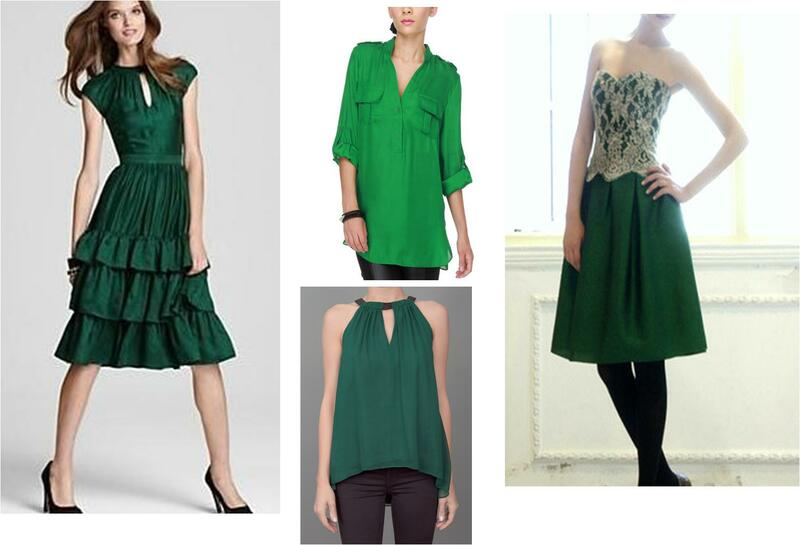 Include this color as statement pieces in your wardrobe and it will vamp up the entire look. Go accessorize girls! It will be a wonderful add-on. Isn’t the clutch in bottom row to-die for? Absolutely stunning. Our very own Mrs. Kareena Kapoor wore emerald green glass bangles at her wedding, remember? 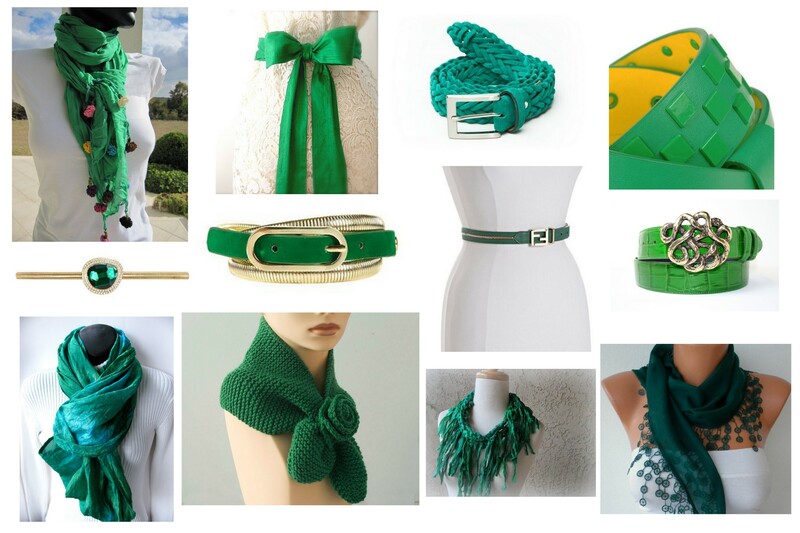 How about some green for the mane? 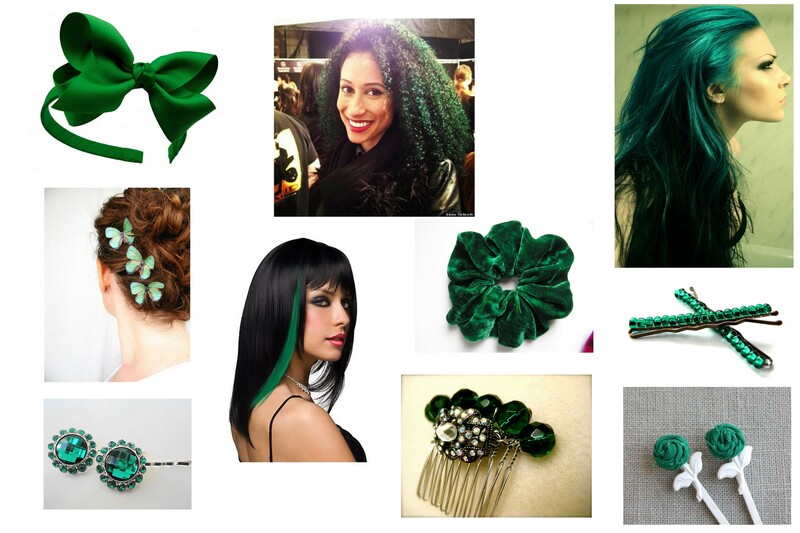 Wear Emerald green hair accessories, or go bold and color your hair green. 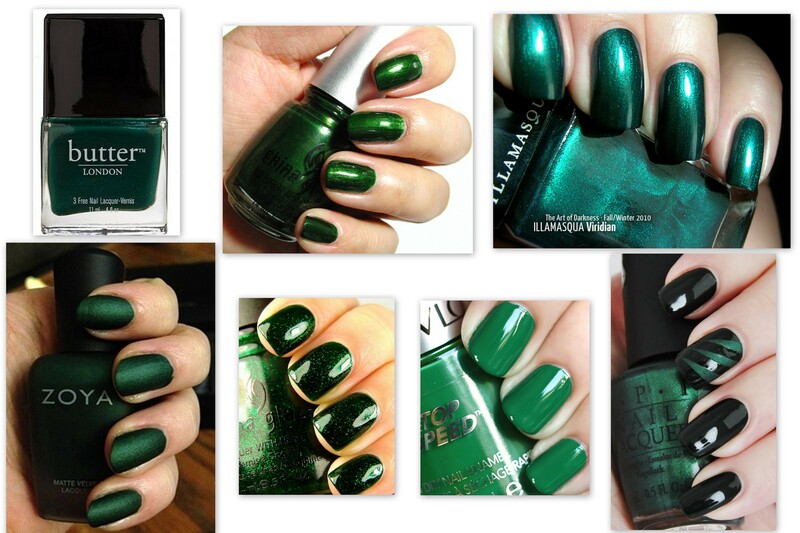 You can also include this fab color for your eye makeup and nails. 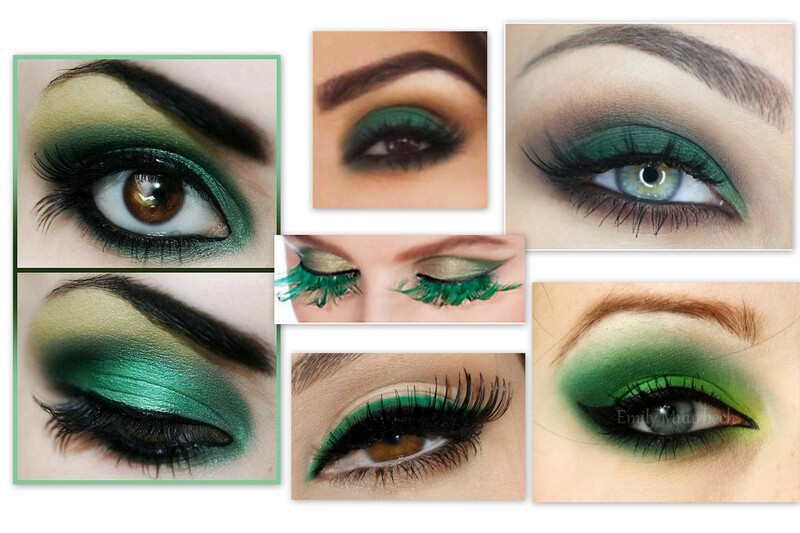 Green like emerald green look best on brown eyes.Grab an emerald green eye liner for basics and you are good to go. Green smokey eyes have always been my favorite. Why only wardrobe, trendify your home as well with this beautiful color. 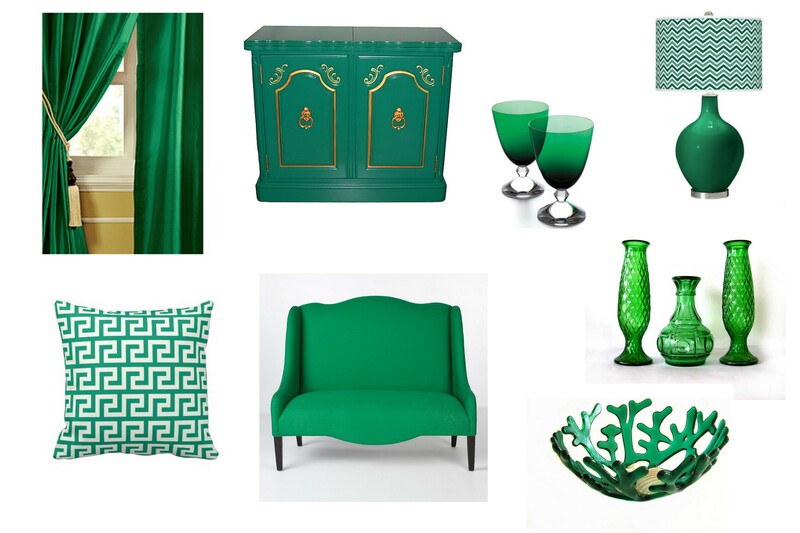 Emerald makes a statement from runway trends to home accents. 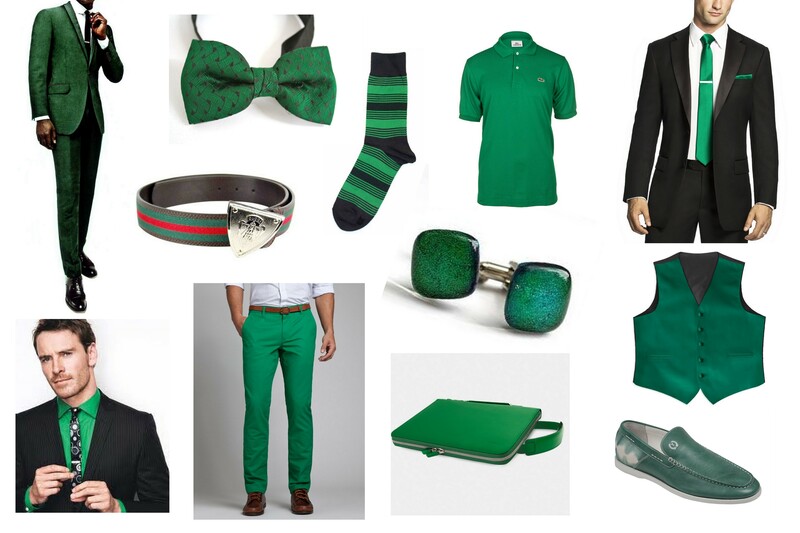 If you are a man and you stumbled upon this post somehow, here’s how you can include this color in your wardrobe and keep yourself fashion-updated. Our celebrities too are not anonymous to the gorgeousness and stunning-ness (Is that even a word?) of this color. 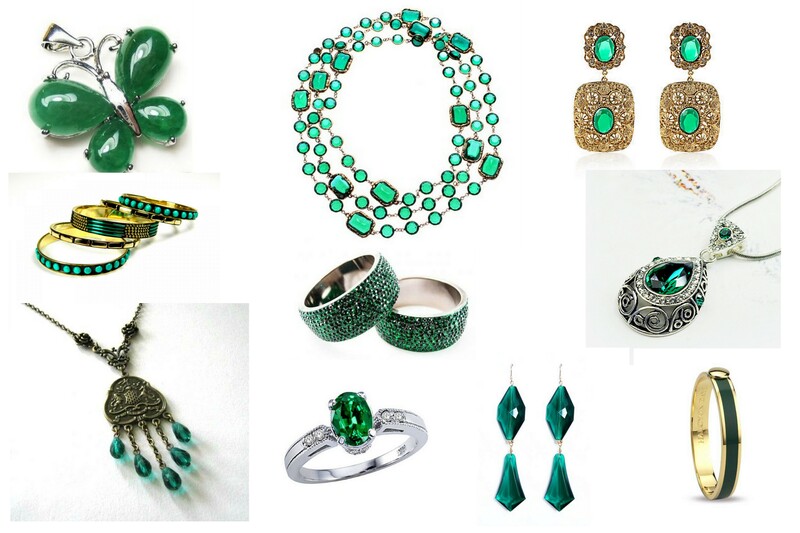 A cautious observer might have noticed the growing popularity of green among celebrities like Rihanna, Angelina, Kim Kardashian, Catherine and even Duchess of Cambridge (Kate Middleton). 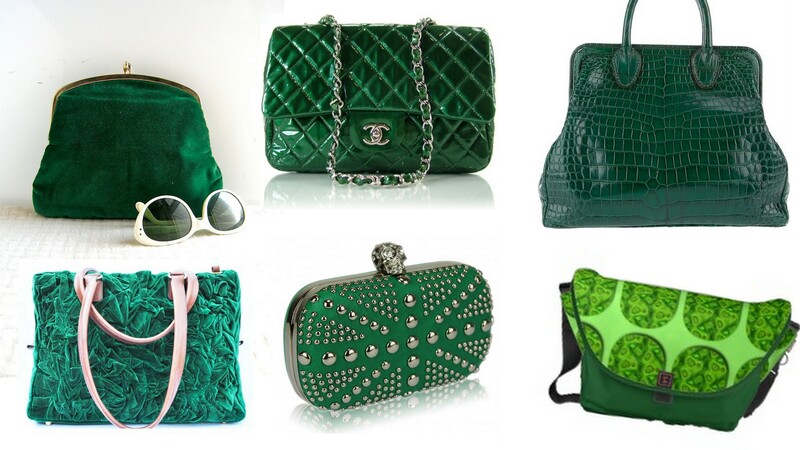 Chanel, Roberto Cavalli, Jonathan Sander, Michel Kors, Vivienne Tam and many other world-known designers have introduced emerald green to their high-end clientele. Here’s how some of our celebrities have adorned themselves with this beautiful color at various functions.